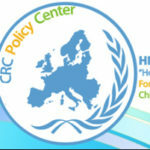 Ioanna Drousiotou is a licenced Clinical Psychologist and she is employed by “Hope For Children” CRC Policy Center, as a Family Counselor at Children’s House, providing assessment and therapy in cases of suspected child sexual abuse. She graduated from the University of Warwick (U.K.) with BSc Psychology and continued her studies in Cyprus, at the University of Nicosia, acquiring an MSc in Clinical Psychology. During her practicum she worked at the Psychiatric Clinic of the General Hospital of Nicosia and Limassol as well as day care centers for people with mental and emotional difficulties, day care center for older adults, as a member of a therapeutic intervention and support team for children with developmental disorders, at a drug rehabilitation clinic and at a center for therapy providing psychotherapy to children and adults. She used to volunteer in various settings where she was given the opportunity to collaborate with the “Open Therapeutic Group Mesoyios”, observing support groups for people facing difficulties with addiction and coordinating support groups for their family members. Also, she volunteered with “Beatbullying” U.K. organization as a Cybermentor and the NGO “Mind-Coventry & Warwikshire” as a Drop-In Centre Assistant. 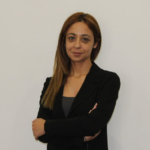 Additionally, she participated in a national campaign for the prevention of use of illicit substances to students organized by the Cyprus Psychologists Association and the Cyprus Anti-Drug Council, as a Community Psychologist. She has previously worked in the private sector as a Clinical Psychologist and previously as a Therapist, implementing Behavioural interventions to children with developmental difficulties, as well as a Research Executive for the qualitative research department. Furthermore, she collaborated with a private college teaching Psychology and providing counseling services and psychoeducational groups to students.